When I was approached about the subject of sound and spirituality, I remembered a story about my birth. I was born in the early years of the Shinnyo tradition, which was founded by my parents. On the day of my birth, people were gathered for an evening service at Shinchoji, our first temple. Its architecture was characteristic for making no distinction between spiritual training and daily life. Therefore, as soon as my mother went into labor, she simply went to a small room adjacent to the altar where she gave birth to me. So, you can say that the very first sound I heard in this world was the sound of chanting—although I have no memory of this experience myself. When we practice chanting as a form of meditative prayer, offering it with our whole being, we absorb within ourselves both the sound and energy of the wisdom and compassion imbued in the mantra. At Shinnyo-en, we see chanting as a collective activity. 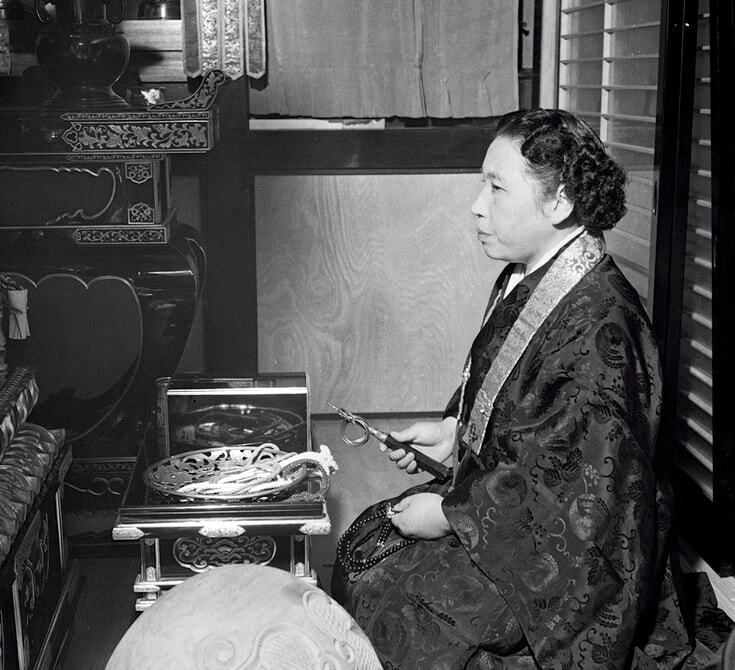 In his teachings, Shinjo often spoke about the power of chanting as an active form of meditation and prayer. Chanting helps align our body, speech, and mind—our actions, words, and thoughts—towards becoming a solid foundation to support, empower, and sustain our prayers and actions. When we chant, we engage the whole of our being in a way that helps to bring out our wholesome individuality. Shinjo once instructed that “If we long to hear the awakening voices of buddhas, all we need do is take hold of Buddhist texts and read them.” He taught that as we chant, we can pay close attention to our own voices as if they are words bestowed to us from buddhas. The wrathful protector Achala. 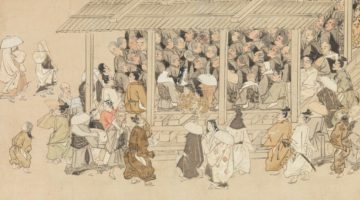 13th century Japan. Courtesy of The Met. In the Shinnyo tradition, we have our own distinctive melodic chanting. In particular, there are two significant chants, the Goreiju and the Jojusan. 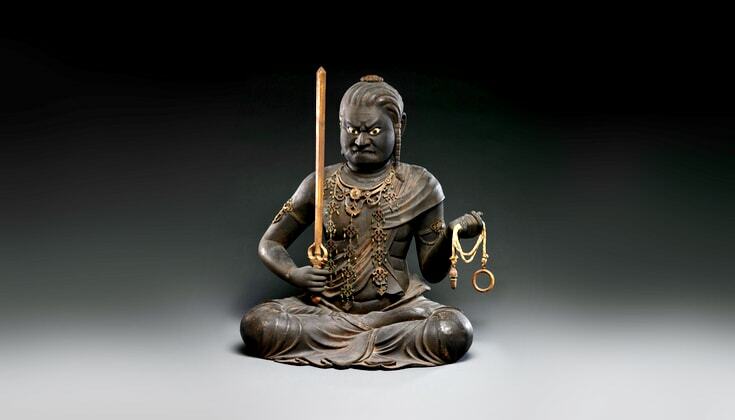 The Goreiju, also known as “The Goreiju of Benevolence and Liberation,” is one of the mantras of Achala, an archetypal figure closely associated with Japanese esoteric Buddhism. Depicted as a wrathful being, Achala is often explained as expressing the unrelenting determination with which the Buddha attained enlightenment. At the same time, the figure also represents great loving-kindness and compassion. 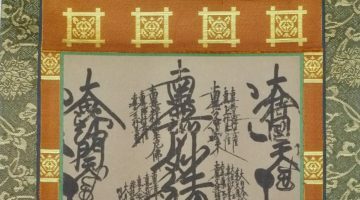 Often chanted in tandem with the Goreiju is the Jojusan, a mantra in praise of ever-present shinnyo (buddhahood)—an awakening energy of wisdom and loving-kindness and compassion that fills this world. Whether at times of difficulty or joy, we chant the former to express our wish to embody Achala’s indestructible resolve to love and be kind. We chant the latter to return to the nurturing and awakening life forces (shinnyo) that embody wisdom and compassion. Together, the two chants bring out the full force of their efficacy for us to live fully in the present as we strive for the welfare of others. If we long to hear the awakening voices of buddhas, all we need do is take hold of Buddhist texts and read them. When these mantras are chanted, their sounds go beyond the environs of the chanter; they reverberate and are absorbed within all of us. When we practice chanting as a form of meditative prayer, offering it with our whole being, we absorb within ourselves both the sound and energy of the wisdom and compassion imbued in the mantra. The melodic chanting allows us to awaken to and enhance our own abilities so that each living person can cultivate their inner wisdom and act with compassion in their interactions with others. Shinso Ito’s mother, Tomoji Ito. Achala’s mantra has a long tradition of its own, but the Jojusan chant was established only recently. Both serve to illustrate how Shinnyo-en embraces tradition and innovation to respond to the varying times and circumstances. More often than not, tradition is seen as something that cannot be altered, like letters etched in stone. But Shinjo taught that tradition should not hold us back from being open to innovation. We can also look at tradition as something that evolves part and parcel with innovation. Both tradition and innovation are imperative in accommodating a diversity of people on their various spiritual paths. They also keep us from losing sight of the ever-changing times. 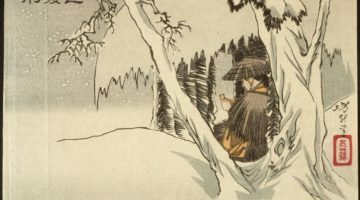 We hope to continue making our Shinnyo path one that lives and breathes with people, adjusting and responding as necessary, in accordance with the times, a steadfast pillar of faith and practice that supports many who are in pursuit of awakening. 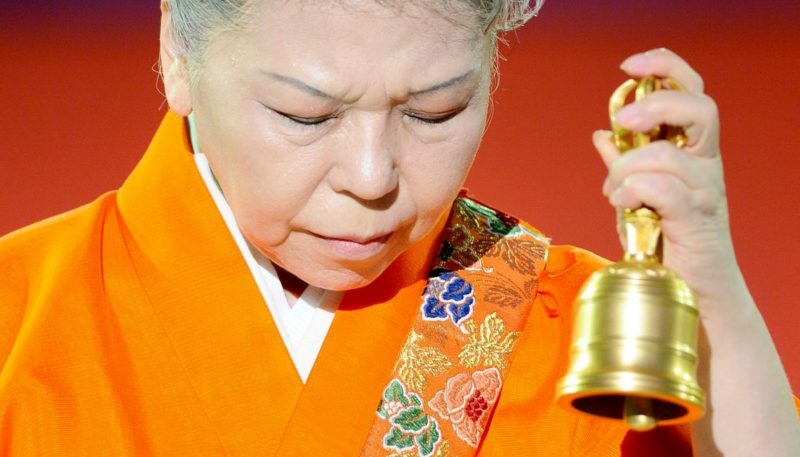 This makes the chanting rituals at Shinnyo-en ever more relevant in our daily efforts, through which we can connect our hearts to our forerunners in the past, reaffirm the lives we are given in the present, and — in every moment henceforth — give shape to our goals towards the future. 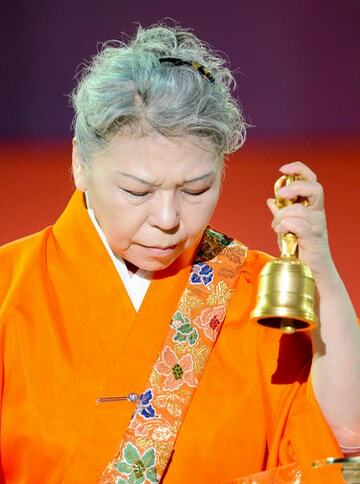 Her Holiness Shinso Ito is the leader of the Shinnyo-en Buddhist school.